Comics Experience Blog: Comics "Workshopped" in the Creators Workshop Coming to Comic Shops Soon! Comics "Workshopped" in the Creators Workshop Coming to Comic Shops Soon! The Comics Experience Creators Workshop hit an important milestone recently, when two workshopped comics appeared in Diamond Distribution's Previews catalog, making both titles available to comic shops across the country. Comics Experience members and alum appear in Previews on a regular basis, as writers, artists, colorists, letterers and editors for companies including Marvel, DC, IDW Publishing, Dynamite Entertainment and more. But this marks the first time Previews has featured comics based on scripts that were workshopped through the Creators Workshop. The Creators Workshop is an online community where aspiring and professional creators can critique each other's work, offering feedback and serving as a sounding board for creators seeking to hone their skills. The Diamond Previews March catalog features Night of 1,000 Wolves #1 from IDW, written by Creators Workshop member Bobby Curnow, with art by the Eisner-nominated Dave Wachter. 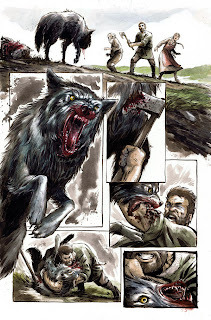 Night of 1,000 Wolves is a Dark-Age horror tale about a family ripped apart by unthinkable tragedy – and a horde of wolves set on their destruction. 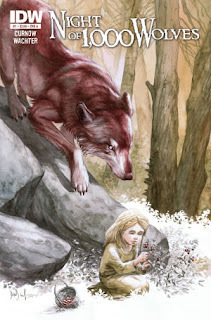 Night of 1,000 Wolves is a three-issue mini-series, and Curnow workshopped all three issues through the Creators Workshop. Meanwhile, the February Previews catalog featured Rex, Zombie Killer from Big Dog Ink, written by Comics Experience General Manager and workshop member Rob Anderson. 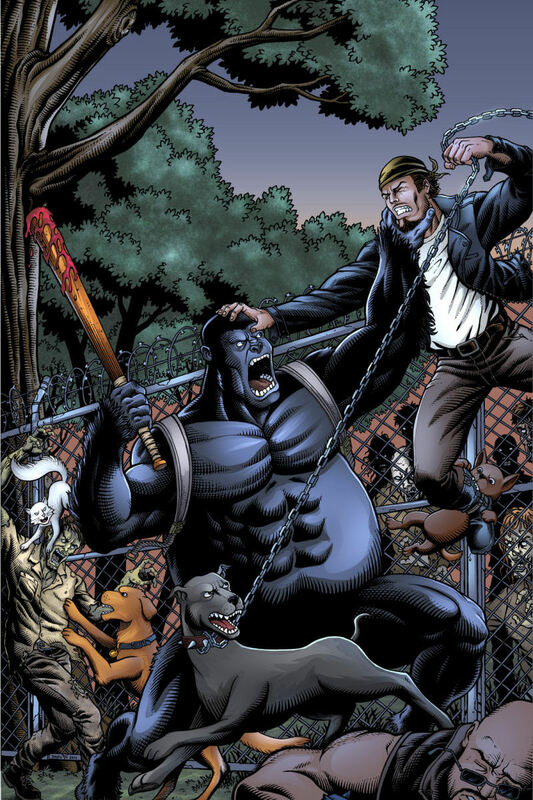 Rex, Zombie Killer is a double-sized one-shot issue, and tells the story of a small pack of animals – including a bat-wielding gorilla -- who seek safety in the wake of a zombie apocalypse. Rex marks the first time that an entire creative team on a book in Previews is made up of Comics Experience Workshop members, alumni and staff. In addition to Rob writing the book, the team includes artist DaFu Yu, colorist Kevin Volo, letterer/designer ET Dollman and editor Paul Allor. 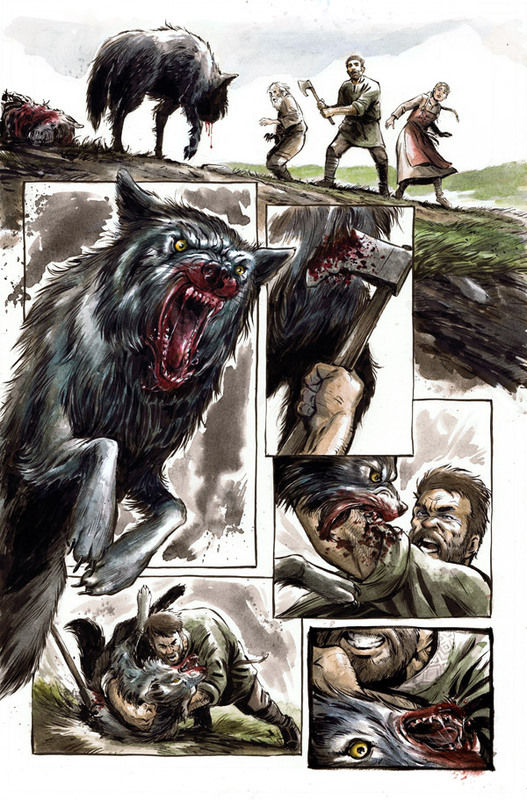 Both Night of 1,000 Wolves and Rex, Zombie Killer are available now for pre-order through comic shops. Comics Experience founder Andy Schmidt said he is certain these will not be the last workshopped comics to appear in the Previews catalog. "The Creators Workshop was designed as a place where people could come together to learn from comics professionals, as well as each other; where they can support one another, collaborate and create something new," Schmidt said. "I am incredibly proud of the community our members have formed, and as a comics reader, I look forward to seeing what they come up with in the coming months and years."